Anglo-Saxon tradition dictated that at the beginning of each year, the lord of the manor would greet the assembled multitude with the toast waes hael, meaning “be well” or “be in good health”… the Wassailing celebrations generally take place on the Twelfth Night, 5th January. Tonight is Twelfth Night, the night of the Twelfth (and final) Day of Christmastide – although some traditionalists will continue to celebrate all the way up until Candlemas, on February 2nd, even I don’t (usually) go that far! 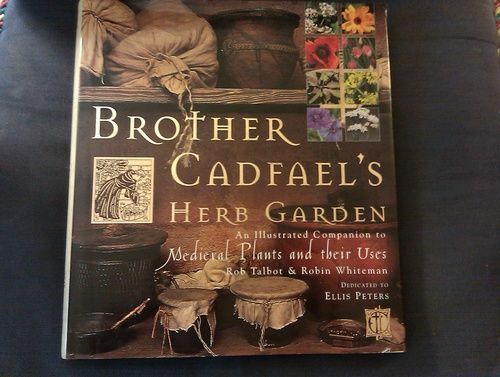 One of the customs that grew up around Twelfth Night, in “Merrie Olde England,” was Wassailing (from “Waes hael,” Old English for “be hale,” or “be healthy” (*). * “Halig,” in Old English, from which we get hael, and from thence our (somewhat archaic) modern English word “hale,” can mean not only hale and healthy, but whole – think “holistic” – and even “holy.” These are all word-concepts that were closely related in the language and thought of our ancient ancestors! Apple trees were wassailed, in hope of a good apple harvest in the Autumn, and groups of wassailers went from door to door – in a sort of cross between mumming and trick-or-treat – singing carols, and begging food, drink, and “a penny” (which of course was worth much more than one of our pennies: originally, a “penny” was a Roman denarius, and was reckoned as a day’s wage) from the householders. Here is one of the wassailing songs – probably the most famous! For further information on both varieties of wassailing, read the linked article! Another Twelfth Night custom that has experienced somewhat of a revival in recent years – especially in more traditional and liturgically-minded churches, but also some residential schools – is the Boar’s Head Feast. It takes a mental shift for us to think of eating pork as symbolizing victory over the Devil! But when you look at it in its historic context, it makes sense. Alas, no Boar’s Head Feast for me this night! I long for the time when I can once again host a Twelfth Night gathering, but that time is not yet. However, I did enjoy crock-potted barbecued pork for supper, and am still enjoying a large mug of homemade wassail, made with Baugher’s apple cider (and mulling spices), with a splash of orange juice and a touch of honey. Delicious! Bedecked with sauce, that was its fate! I have been remiss in posting entries in this category, of late! Mea culpa, mea culpa, mea maxima culpa… Here, in any case, is a wonderful selection of glorious seasonal music, from the medieval West! The Glories of the West, Old Midsummer, and a blessed Feast of St. John the Baptist! In honor of this (“Old”) Midsummer’s Day – the Feast of the Nativity of St. John the Baptist – Sumer is icumen in (“Summer is a-coming in”)! Author The Anglophilic AnglicanPosted on June 24, 2018 Categories Glories of the West, Uncategorized, VideosTags Cultural Heritage, Culture and Society, Cycles and Seasons, Folk Music, Holidays and Holy Days, Medieval Era and Medievalism, Western CivilizationLeave a comment on The Glories of the West, Old Midsummer, and a blessed Feast of St. John the Baptist! 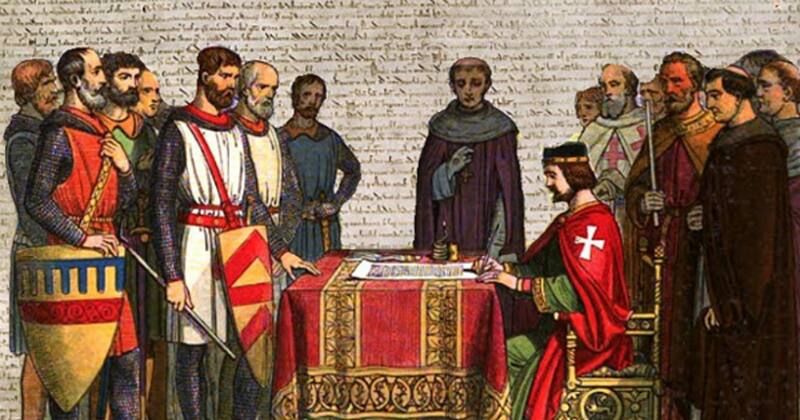 King John granted the Charter of Liberties, subsequently known as Magna Carta, at Runnymede on 15 June 1215. On this date in 1215, 803 years ago today, King John “Lackland” granted – admittedly under duress! – the “Charter of Liberties,” which was to become known as the “Magna Carta” or “Great Charter,” to the rebel barons and leading churchmen of the Realm of England. “Magna Carta established for the first time the principle that everybody, including the king, was subject to the law. Although nearly a third of the text was deleted or substantially rewritten within ten years, and almost all the clauses have been repealed in modern times, Magna Carta remains a cornerstone of the British constitution. Perhaps, given the political and social situation there, England is in need of a new “Great Charter”!